Shortlisted for the 2010 Sunburst Award for the Canadian Literature of the Fantastic. When Amy dives into a quarry and lands on hidden rocks below the surface, her shattered body is not the worst of her troubles. The worst of it is the fact that the body she regains consciousness in is not her own. An over-achiever from a wealthy Toronto family, Amy has somehow ended up in the body of Krystal, a troubled girl from North-End Kingston. No one, of course, believes what Amy says. Amy's drive and determination help her to build a new life, but all she really wants is to find her way back to the life she once had. Or does she? Amy by Any Other Name is a story about what makes us who were are, and about the human capacity to grow and change. It's about 2 girls, Krystal (rebel), and Amy (Sporty Rower/Popular), that almost die and end up switching bodies. Amy wants to switch back but Krystal, who led an awful life, wants to keep Amy's life. Eventually Amy gets Krystal to jump off the cliff that almost killed Amy in a hope to return to their normal bodies...."
I lent my copy of Amy to my friend, and she loved it! She read it in one night! She is doing rowing and thought all the Kingston references were really cool. She had also read Lake Rules a few years ago and didn't know it was you who wrote it! She actually owns a copy. When 16-year-old Amy wakes up in a hospital bed, seriously injured from a diving accident, the wealthy, overachieving Toronto teen discovers that she has somehow switched bodies with Krystal, a troubled girl from north-end Kingston, who also faced death after being hit by a truck. Unable to get anyone to believe her, she begins to build a new life, while secretly trying to find a way back to the life she once had. But is the past what she really wants, when the future holds so much possibility? Amy By Any Other Name poses some interesting questions. What would you do if you suddenly woke up in a body that wasn’t yours, forced to step into a life that was the polar opposite from yours? And what role do circumstances play in shaping who we are? Amy has everything going for her. She’s got looks, smarts, and athletic talent, and she’s grown up in a loving and privileged household, her future completely ensured. By contrast, Krystal is not especially driven, she’s “Goth” in appearance, has few friends, and has precarious relationships with the adults in her life. By using first person narration, and telling the story from Amy’s point of view, readers’ exposure to Krystal comes primarily through Amy’s eyes, and through her imagination, making it seem like Krystal is the only winner in this scenario. Amy is frantic to reclaim her old life, and all of her actions are building towards what truly is a selfish goal, and gives little consideration to how others (particularly Krystal) might be affected by it. She embraces her future because she’s forced to, but there is always the sense that she will never fully let go of her past. 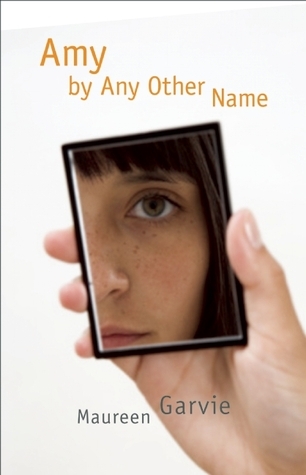 Amy By Any Other Name is a well-written, complex and thought-provoking story, and teens will be intrigued by this unusual premise. What Amy and Krystal do with their new lives demonstrates the control and choice that individuals have in shaping their own destiny and rising above circumstance, making this a title worth studying and discussing in more detail. Sixteen-year-old Amy Wexford, tall, blonde, strong, successful rower, with her life under control and organized, suffers a diving accident at a quarry near the family cottage. Krystal Marques, an out-of-control foster child, accidentally steps in front of a truck on the same day. In the rush towards death, the girls’ souls collide and are drawn back to their shattered bodies by dedicated hospital personnel. Unfortunately, the wrong bodies. In Krystal’s body, Amy cannot convince anyone she is Amy. Horrified by what she begins to learn about Krystal’s past, Amy struggles towards physical wellness and health, building a relationship with her guardians, Krystal’s grandparents, and achieving the high marks necessary for a university scholarship. She even takes up coxing for a rowing team. Eventually, she succeeds in contacting Krystal, who in Amy’s body, can’t finish high school but has begun a modelling career. Although Amy longs for her former self and Krystal jealously guards her new-found reality, both girls realize that they can only go forward to meet the future. In spite of its new-age premise, this book is an urgent, can’t-put-it-down read, featuring powerful, fascinating characters and thoughtful ideas. Readers will be drawn instantly to the beautiful Amy whose strength of character allows her to not only cope with the aftermath of a devastating accident but to set goals to change Krystal’s life for the better. As she struggles with the horror of Krystal’s unhealthy habits and body, Amy (who changes her name to Mia) also learns to love Krystal’s avo and ava and to support Raymond (aka Loco), Krystal’s skater boyfriend. 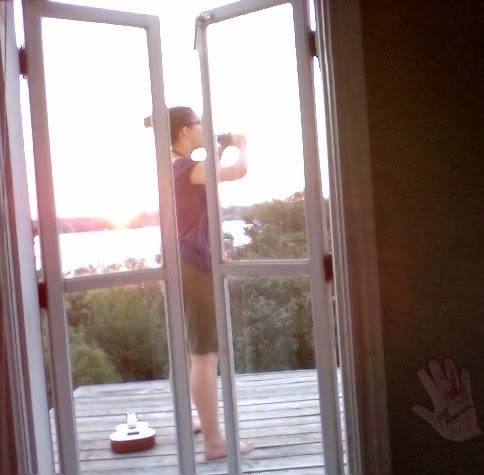 Even as she goes to the University of Toronto on scholarship, Amy longs for her mother and her former friends, still hoping to eventually re-connect. It’s interesting that it is Krystal who teaches Amy that this idea is impossible. Krystal initially appears to have won the lottery. However, she does not have the drive to finish high school, and her success rests in her use of Amy’s body as a model. She and Loco (or Loki), now a film studies student at Ryerson due to Amy’s influence, gradually come together again. One of only two people in whom Amy has confided, Loki develops from an indifferent skater obsessed with movies to a partner of the beautiful model, Krystal. 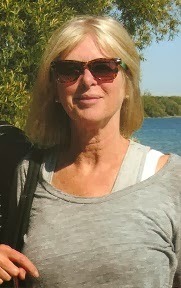 The other person who supports Amy in her struggles is Susan, a physiotherapist who becomes her friend and mentor. Krystal’s Portuguese grandparents are exquisite cameos, their pain and pride and traditional way of life an open wound of suffering that Amy finally helps to close. This is a decidedly Canadian book, with Kingston and Toronto front and centre from the rowing teams to the coffee shops and the Canadian spellings. Readers will long remember this book for its fascinating ideas: can you turn your life around by changing your name and your habits? Can you influence your friends to change their lives? Can you learn to love older people who are strangers? What is the role of determination in achieving wellness after an accident? Can you let the past go and greet the future with open arms? Garvie’s writing appears effortless. Amy’s initial horror is palpable and will draw in any reader, reminiscent of the pain suffered by Andrew Davidson’s hero in The Gargoyle. The urgency of the first person narrative carries the reader forward, and the necessity for Amy to understand the people around her forces her to look at them more objectively. Garvie’s hospital personnel are so accurate: busy, professional and paternal. Her characters’ voices are so realistic: Joan the unsophisticated yet loving foster mother; Susan the physio open to new ideas and taking unexpected chances; Loki the skater klutz, abused and suspicious yet totally loyal. The dialogue is modern and set completely in the present, the scenes between high school students absolutely dead-on. The action of the book occurs over three years, never bogged down in detail, always driving forward. Students who can suspend their disbelief about the body exchange will be well rewarded by an excellent YA novel.